Some animals help regulate their body temperature by heat loss through their ears. Choose an animal, it can be an extinct animal, and research how it absorbs and emits heat. Thermoregulation: is the process that allows the human body to maintain its core internal temperature. Jack Rabbits live in the desert, where they're exposed to extremely hot daytime temperatures. The Jack Rabbit has a special biological adaptation that enables it to keep cool by adjusting its core body temperature by releasing heat from its oversized ears. 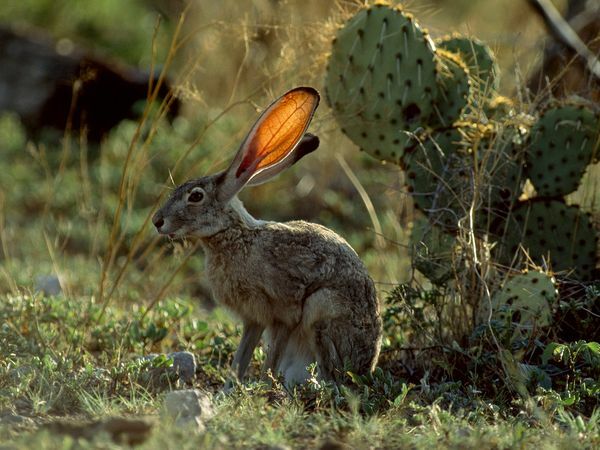 The Jack Rabbit’s large ears provide an expansive area of exposed skin loaded with blood vessels. When the surrounding air temperature is slightly below the rabbit’s body temperature, as when it retreats from hot desert sun into shade, the blood vessels in the outer part of its ears widen. This increases the surface-area-to-volume ratio of the vessels, a response that favours heat loss to the surrounding air, lowering the rabbit’s body temperature. 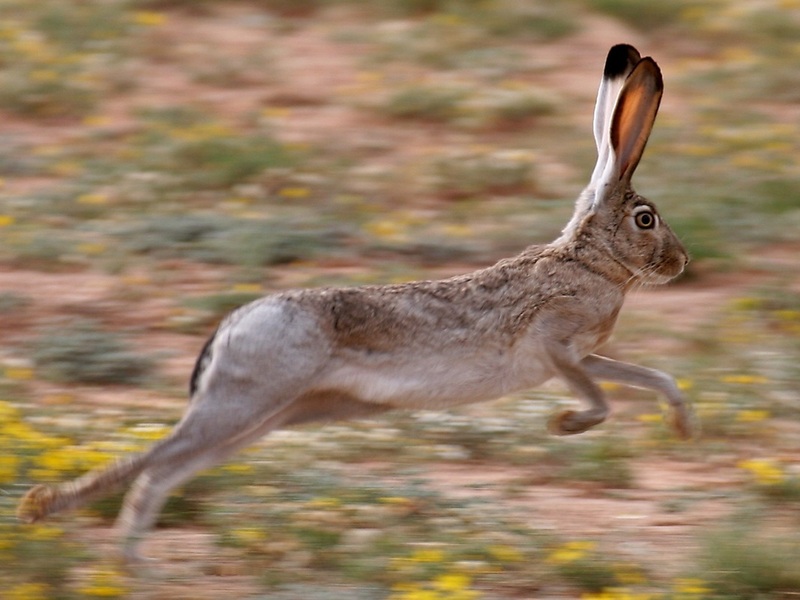 This reduces the need for evaporative cooling mechanisms, such as panting or sweating and is an important water conservation technique given the Jack Rabbit's arid habitat. At air temperatures around 30° Celsius, convection from the Jack Rabbit's ears can shed all of the animal’s excess heat.